Product Management is a key job function in all product and service organizations . However, the lack of standardization and planning with respect to product management is a barrier to high performance product teams. Keys to building effective teams include organizational retrospectives, identification of job competencies, and an overall maturity model for the role. In Managing Product Management Steven Haines identifies four broad challenges faced by product management organizations: 1) product management is underutilized, misunderstood, and frequently sits on the sidelines; 2) product management is often confused with project management; 3) product management is considered to be a standalone function; and 4) executive leadership has unrealistic expectations about time to market for new products. To remedy these problems Haines provides a four step framework beginning with a diagnosis and review of how the organization got to be where it is. Here, he recommends a retrospective on previous organizational efforts and creating an organizational strategy for product management. This strategy includes a competency and baseline model for product managers against which goals are set and performance is evaluated on a regular basis. Second, help the organization achieve clarity of purpose to support product management. Haines calls this getting “everyone into the product management sandbox”–ensuring that all functions in the enterprise are involved in and connected to product management. Having set the vision, the third step is establish standards for product managers and helping them grow their skills. Finally, establish a consistent and holistic product management knowledge community within the broader organization. The end result will be a product management group that is unified and spans all corporate functions. Product Management at the product line or portfolio level is a microcosm for the macrocosm of the entire organization, much the way a General Management function serves to bring the disparate pieces of a company or a division together. It is a well-known fact of strategy formulation that you cannot plot your path forward if you don’t know the road you’ve traveled. Haines has a novel suggestion: perform a team review of former and current product management organizational issues. Evaluating past organizational transformations puts current and future plans into context. Lessons learned from previous organizational designs and leadership effort provide important clues for the appropriate design of the organization in the future. The retrospective should include asking why the organizational change was initiated, whether there were goals set and met, did it take into account the impact on product management, and how the change was communicated and implemented. Haines sees Product Management as a “supportive horizontal structure that serves as the organization’s backbone, orchestrating the activities of all business functions in tune with the achievement of the current strategy for the company or business unit.” As the connective tissue, product management becomes a critical function throughout the enterprise. Haines envisions a master plan (or repository) which consists of an archive of decisions, a competency definition for the role, various documentation including processes, and templates and tools. Four key components of the plan include the product lifecycle, the organization design, a maturity model, and a job competency model. He stresses the need for a clear definition of the product management role so that gaps can be identified and remedied. In addition to simply documenting the product management function, the plan also identifies how product managers are to take the stream of product data and weave it into new product and product improvements. Haines’ firm, Sequent Learning Networks, has a product lifecycle which is broken down into three macro phases: new product planning, new product introduction, and post-launch management activities. The first phase includes concept, feasibility, and definition phases separated by decision gates. New product introduction includes development and lunch activities while post-launch is a collection of strategic and tactical management activities. The lifecycle is not only a map for how products are created and released to market, but, more importantly, it functions as the framework for measuring the effectiveness of product managers and increasing overall product management competency. It seemed as if no one felt accountable for product financials or for the product’s overall performance. Haines notes that product managers are often confused with project managers and have overlapping responsibilities with other functions (as shown in the quote above). One fix he implements in his consulting role is to ensure that product managers are closely connected with customers and customer facing teams. As a deeply cross-functional activity, product management thrives when everyone associated with the function understands its processes, lifecycle, and tools. In addition to to being the cross-functional “mini-CEO” for their product or product line, product managers lead teams responsible to “optimize the product’s market position and financial returns, consistent with corporate, business unit, or division strategies.” Specific competency groups for product managers include creation of market insights, development of product strategy, executing product launches, and managing product financial metrics. A key competency is the ability to take multiple data streams and translate incoming information into actionable decisions. Haines summarizes the product management role as comprising the core competencies mentioned above plus leadership skills, subject matter expertise, entrepreneurial vision, and critical thinking. The book outlines a process of evaluating product managers against the competency model and helping them succeed by cultivating their skills in each area. Additionally, product managers should be classified by at least two spectrums: the scope of their design and management responsibilities (product features, product components, horizontal/vertical elements of the product) and the nature of the product (complexity, market maturity, sales/revenue volume). The book contains a number of specific job functions and experience that can be used to position individual product managers within the competency framework and assist with organizational design. Cultivating strong product managers requires a thoughtful and well designed career progression. A significant focus of the book is definition of the product management role and supporting the team grow their skills and fill any gaps. Creating a thriving product management culture throughout the organization will bring clarity and consistency to this critical role. Customers do not want a list of features; rather, they want to work with someone who understands the way their business works and what types of problems they encounter. 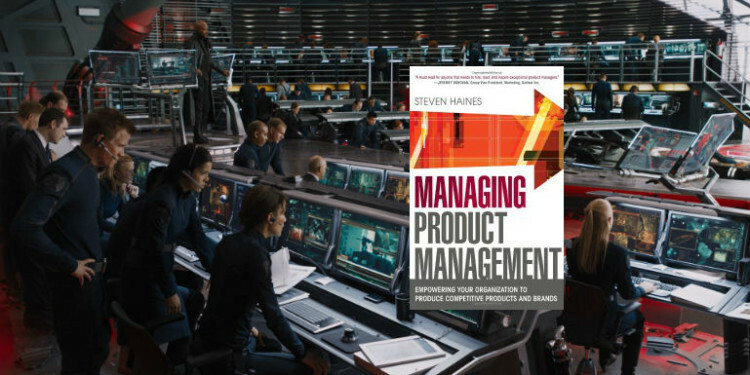 This idea begins to define the best in class product management approach, which Haines defines as a “commitment by the company to the effective management of products”. Thus product management extends beyond a single role to an enterprise-wide approach to business. The product manager is a cross-functional role responsible for leading a team which optimizes the product’s position in the market and financial return throughout its lifecycle. Because a product manager leads by influence rather than authority, entrepreneurial vision is a key attribute for the role. Most importantly, a good product manager can “detect market nuance” and communicate it back to the rest of the team in a way that enables the development and improvement of profitable and usable products. Knowledge will not help the organization if it is held in a single individual’s brain. Haines defines being market driven as paying attention to both competitors (positioning, strategies/tactics) and customers (definition, journeys), sharing information effectively, and inspiring the rest of the organization to be involved with product management. Additional focus areas for product management should be investment planning through business cases and learning through planning, establishment of metrics, and retrospectives. Retrospectives and organizational learning are consistent themes throughout the book–Haines begins with the observation that if you don’t know where you’ve been and why some things worked and why some didn’t, it is difficult to chart your course forward.